‘Big Time Blue’ flowers abundantly with deep blue flowers. 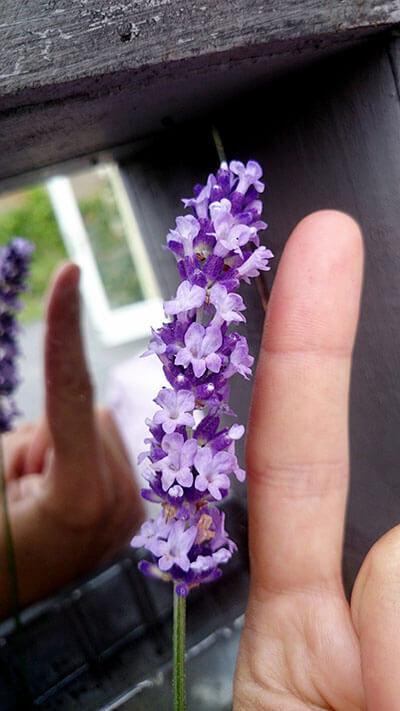 You’ll notice that the size of the flowers is strikingly bigger than other lavender varieties. 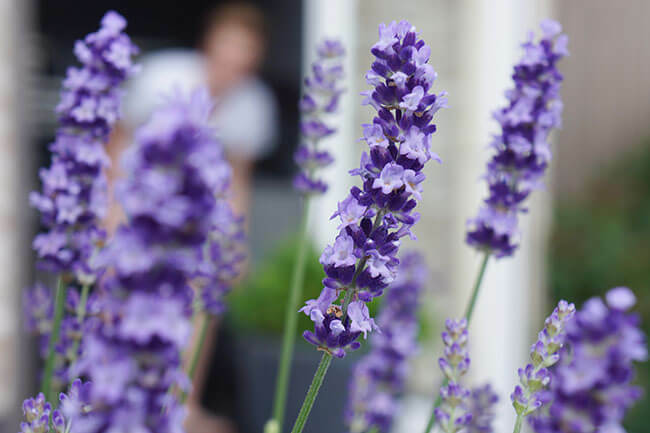 ‘Big Time Blue’ also stands out for its vibrant, silvery green foliage. The light shades of the foliage contrast beautifully with its darker flower color. 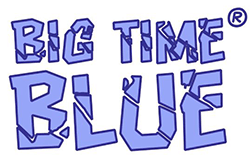 ‘Big Time Blue’ has a compact size of 20” high and 30” wide. 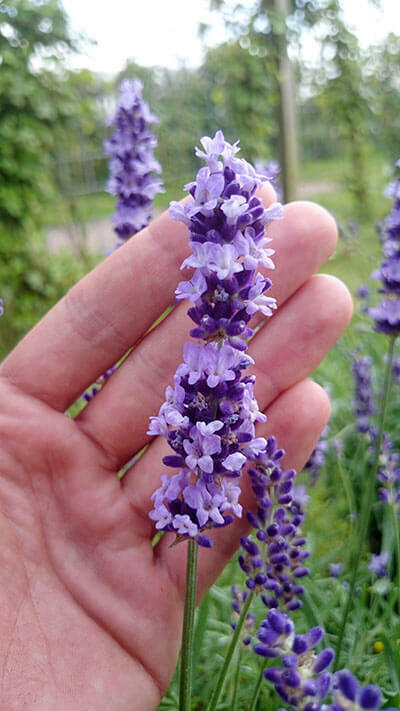 Excellent as solitary, in perennial borders, mixed containers, flowering hedges and mass planting. 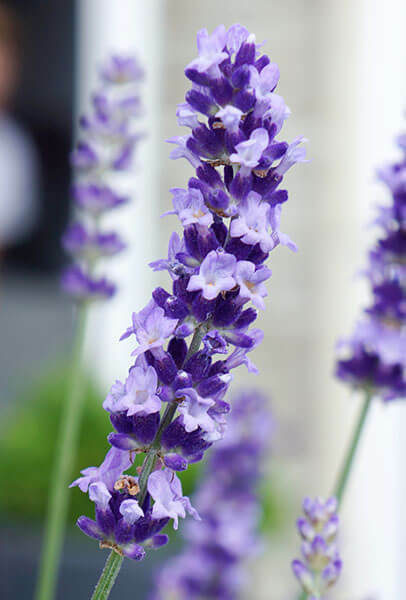 You can enjoy its fragrant flowers from early summer into fall. 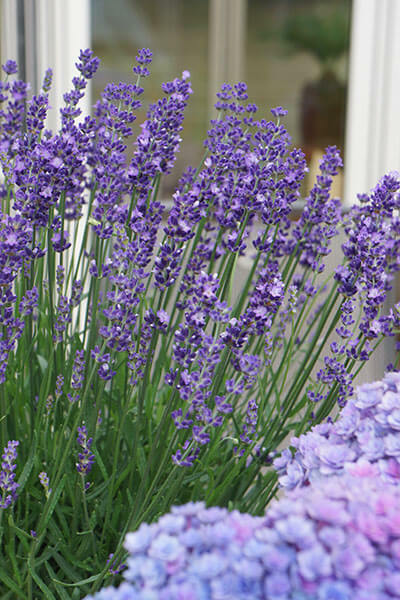 This variety is rich with nectar: butterflies and bees will absolutely love it! ‘Big Time Blue’ grows fast and has a strong rooting system. It thrives in well-drained, fertile soil in full sun. 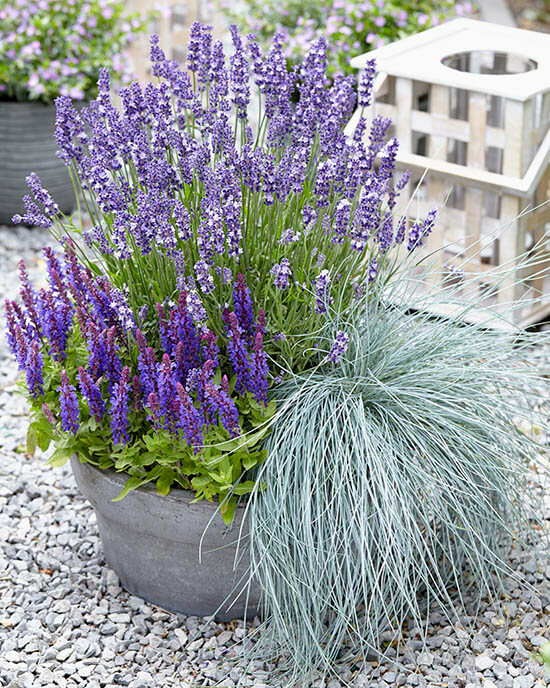 This gorgeous plant is drought tolerant and requires very little maintenance. Hardy down to USDA zone 5a. Prune in spring.